HSBC bank has completed what is believed to be the industry's first cross-border blockchain transaction with a Chinese importer involving a digitised letter of credit (LoC). The banking giant set up the link between two of their clients, sending a container load of wool - about 19 tonnes - from Fox & Lillie in Australia to the China SDIC International Trade Nanjing Company (SDIC). The development is based on the use of a LoC format, which is a paper-based format that makes up a significant proportion of trading in China. Being able to digitise this is expected to create savings in terms of time and invested resources. 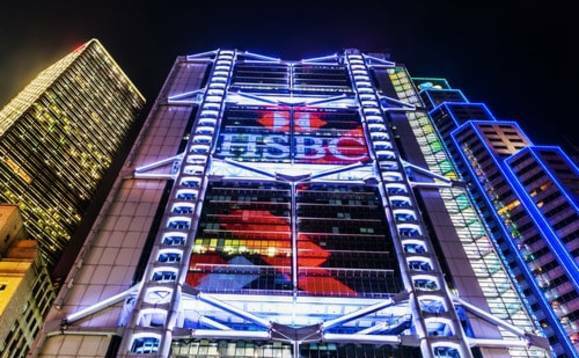 This live deal shows the evolution of HSBC’s blockchain strategy and we look forward to extending the benefits of this technology to more clients over time"
HSBC said trade transactions conducted using blockchain technology allowed all parties to review the documents in near real-time, which reduces cost, risk and lead times. Digitisation of the letter of credit process will give Australian exporters a competitive edge, the bank said. Fox & Lillie managing director James Lillie said the company, as one of Australia's oldest and largest family-owned wool exporters prides itself on its resilience. The company's readiness to innovate and embrace change has played a large part in its evolution, he said. Ajay Sharma, HSBC's Asia Pacific Regional Head of Global Trade and Receivables Finance, noted that China is the world's largest issuer of LCs by value - almost $750bn in 2018. He said that digitising this market will shake up trade finance in China. HSBC Australia's head of global trade and receivables finance Joseph Arena said the "live deal" between Australia and China built on blockchain transfers that the company had executed over the past year in a number of world markets, validating the commercial and operational viability of the digital solution. "This live deal shows the evolution of HSBC's blockchain strategy and we look forward to extending the benefits of this technology to more clients over time." The trade was done using a new platform. First announced in October 2018, Voltron was developed by major banks and blockchain firms, including Bangkok Bank, BNP Paribas, CTBC Holding, HSBC, ING, NatWest, SEB, Standard Chartered, Bain, CryptoBLK, and R3. The platform is designed to resolve an issue concerning the long process of paper-based letters of credit exchanged between importers and exporters, and other parties including shipping companies and banks.